Did you know it's National Pumpkin Day? 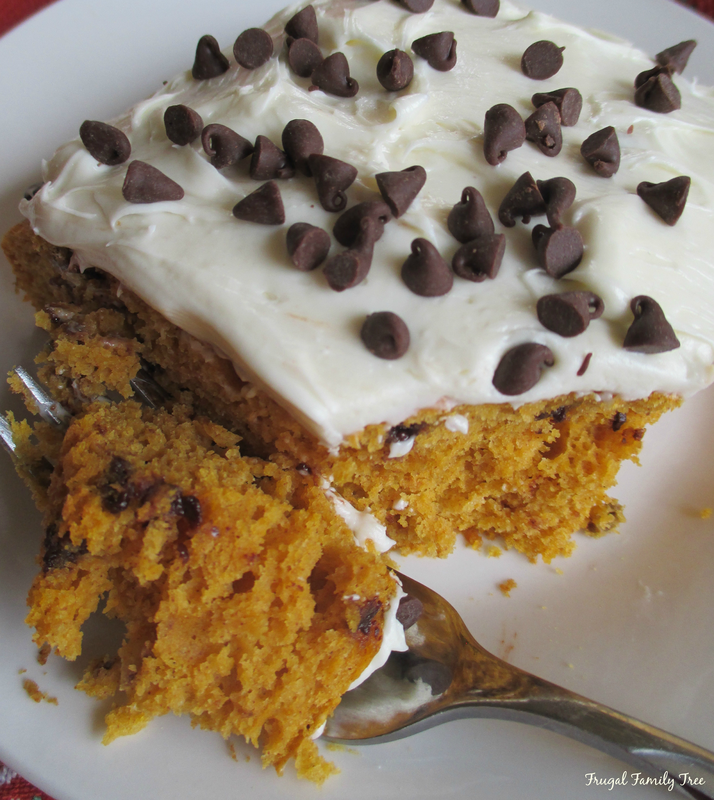 I love celebrating all things pumpkin, so I just had to share this super easy Pumpkin Chocolate Chip Cake. I've recently started being a nanny two days a week for the most adorable ten-month old baby boy. His parents are wonderful people, so it's really been a blessing for all of us to meet and start this relationship. I'd forgotten how amazing babies are and how much work they are. But I love doing this and the baby is one of the sweetest little guys I've ever met. And all this brings me back to this yummy cake. 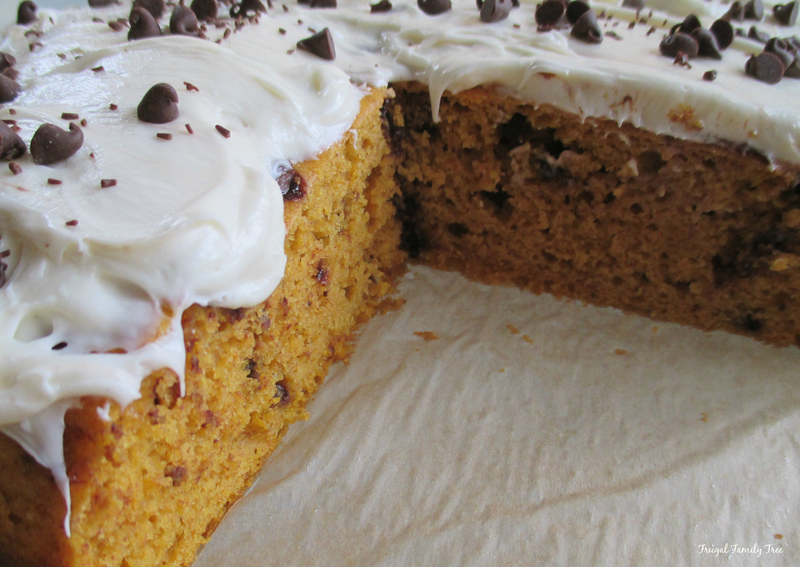 I bake all the time, for blog posts, for family birthdays and all kinds of occasions. I really love baking. But I've been busy this last week and haven't baked anything. Yesterday before my grandchildren left for school, they asked me if I could bake them a treat. I'm happy to be a Nana that bakes, so of course I said yes. I normally always bake from scratch now, but remembered I had this yummy, time-saving recipe. 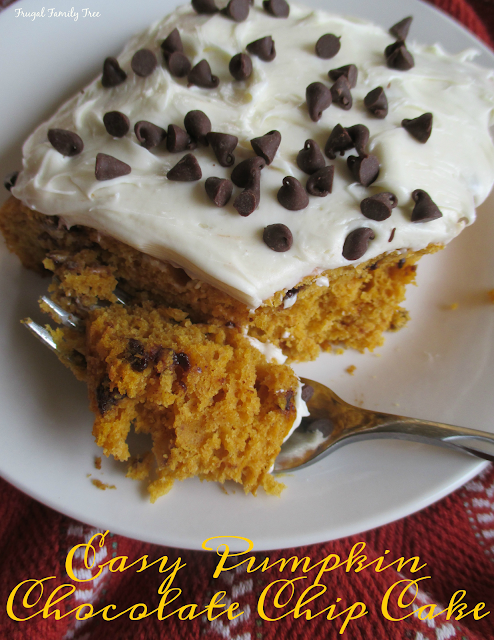 It calls for a box of yellow cake mix, canned pumpkin, and a can of ready-made frosting. From start to finish, it only takes about 40 minutes. Bake it in a 13x9 inch baking pan and it makes about 12 servings, depending on the size of your slices. My grandchildren loved it and so did the rest of my family. It's perfect if you need a quick dessert on short notice, or a great afterschool snack cake. Preheat oven to 350 degrees. Grease a 13x9 inch metal baking pan and line with parchment paper. Beat cake mix, pumpkin, eggs, water, and pumpkin pie spice in a large bowl with electric mixer 2 minutes, or until well blended. Stir in 1/2 cup chocolate chips and pecans. Spread batter in prepared pan. Bake 25 minutes, or until a toothpick inserted in the middle comes out clean. 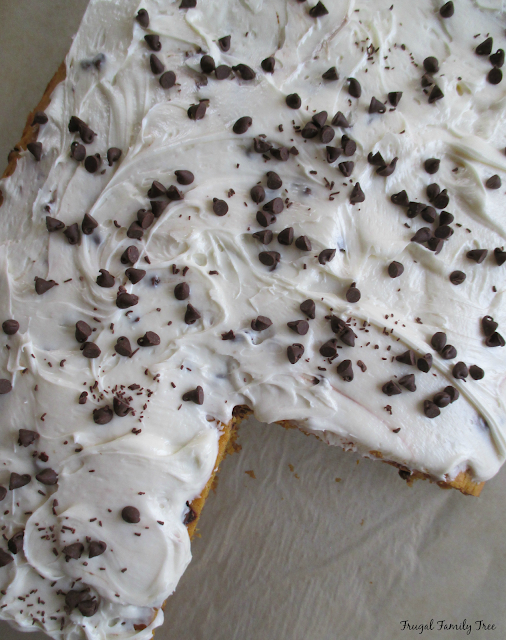 Cool in pan completely, then frost cake with frosting and sprinkle with remaining chocolate chips.